Guitar Anatomy: Understanding the Parts of the Guitar | Zing! You don’t need an understanding of guitar anatomy in order to play guitar. However, it is useful to have a basic grasp. Sometimes you may need to talk to a guitar technician about installing some new pickups, or to describe a problem with your instrument. Other times, you might be showing a fellow musician something you’ve learned. There are obvious advantages to using the correct terminology in times like these. Here we share some basics about what guitar parts are called, what their functions are and how they work. 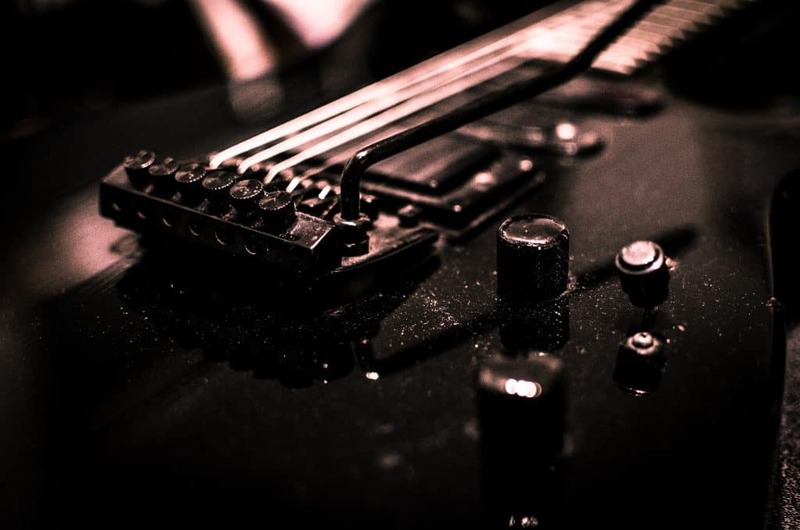 Read on to know your whammy bars from your pickups! We are going to look at the main bits of the guitar, with brief explanations about what they do, where they are situated and how they work. We’ll cover both electric and acoustic guitars. The headstock, as the name implies, is at the top of the guitar. Headstocks vary in shape and size but they all serve one vital purpose: to be the base for the tuning pegs. The difference in shape and size of a headstock is a good indication of the type and manufacturer of the guitar. 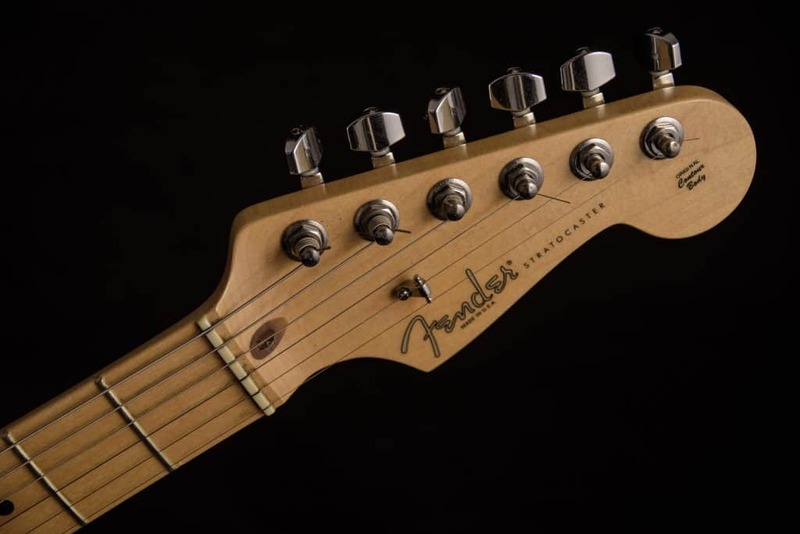 For example, Fender Stratocasters all come with the same shaped headstock. This makes them instantly recognisable. There are branding decals or logos on most guitars’ headstocks. The tuning pegs are attached to and protruding from the headstock of the guitar. They are used to raise or lower the pitch of the strings by tightening or loosening them. The arrangement of tuning pegs varies from guitar to guitar. Some types of acoustic guitar have three on top of the headstock and three on the bottom. Some electric guitars use this setup, but often tuning pegs are arranged in a row of 6 on the topside of the headstock. Tuning pegs are sometimes referred to as machine heads. The strings of a guitar pass through the nut. The nut ensures that the strings are aligned correctly with the tuning pegs, and enables exact string spacing. Individual grooves are cut into the nut for the strings to sit in. The nut is found near the headstock of a guitar and can be made from a variety of different materials. 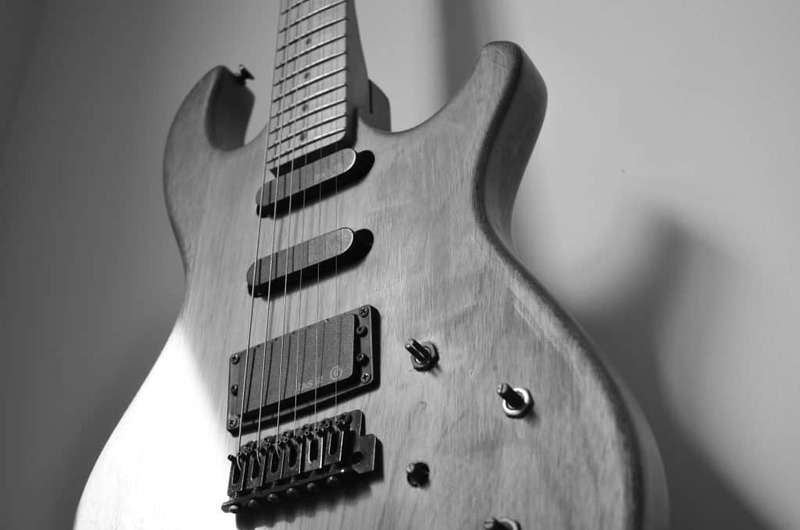 Plastic and corian are commonly used, but some high-end guitars use bone, which is the traditional material of choice. The neck is the long piece of wood that attaches the headstock to the body. The neck is not to be confused with the fretboard. The fretboard is a separate piece of wood that is glued to the flat side of the neck. Necks can be glued to the body – called a set neck – or bolted on. Most acoustics are glued, but bolted on necks are common on electric guitars. The truss rod is a steel rod that is embedded in a specially cut groove on the inside of the guitar neck. The purpose of the truss rod is twofold: to help strengthen the neck against the immense amount of force exerted upon it by the strings, and to adjust the curvature of the neck which is vital for a properly set-up guitar. The truss can be accessed via the top or bottom of the neck, and you can get special tools designed to tighten or loosen the truss rod. This tightening and loosening will alter the curvature of the neck. The fretboard is a piece of wood that is glued to the flat side of the neck. Fretboards are commonly made from hardwoods; such as rosewood, maple, and ebony. The purpose of the fretboard is to house the frets, fret wire and fret markers. This is the main point of contact for the fretting hand of the guitarist. On the fretboard are thin metal strips running width ways across the face of it. These metal strips are called fret-wires. The space between these fret-wires is a fret. When we press a string down into one of these frets, we alter the length of the string. This alters the pitch at which the string vibrates. 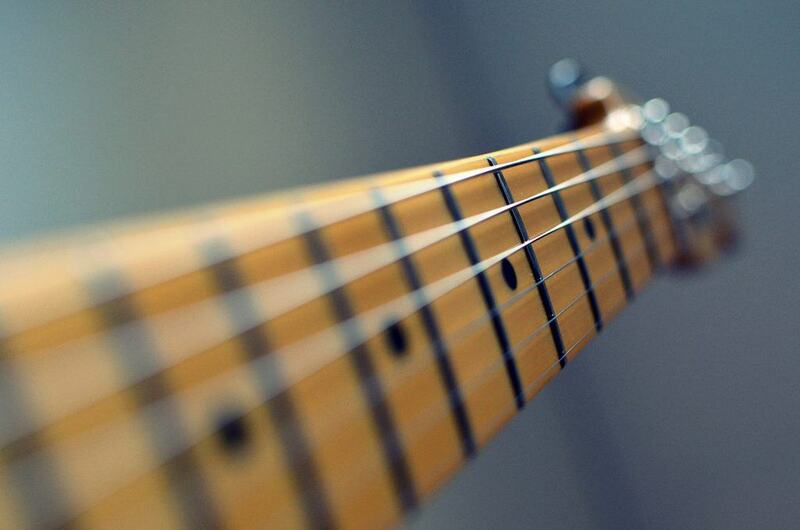 The number of frets on a guitar can range from 19 all the way up to 27! Fret markers are the little dots on the face of a fretboard, and sometimes on the side of the neck. These are reference points, which help you to navigate around the fretboard. Fret markers are found on frets 3, 5, 7, 9 and 12. Fret 12 often has two markers, to indicate that you have reached the octave of the open string. The position markers go all the way up the fretboard. The body of the guitar is the main bulk of the instrument. As the main piece of the guitar that everything else is attached to, it is probably the most important component. The body also plays a large role in the overall tone of the guitar, especially on acoustic guitars. The scratch plate’s main function on an acoustic guitar is aesthetic. It is usually a piece of plastic that is glued to the body of the guitar to help protect from pick scrapes. Scrapes, over time, could damage the finish of your beloved instrument. On some electric guitars, the Scratch Plate is used to cover exposed electrics of the instrument and to help house and protect the pickups. On electric guitars, these plates are attached to the body by a number of small screws. Soundboards are the top piece of wood of the body of an acoustic guitar. They play a critical role in determining the tone and the projection quality of an instrument. When a string is plucked it cause the soundboard to reverberate across its surface. Different materials used for the soundboard produce different tones and volume. Two examples of this are spruce, which provides crisp high ends and lots of volume; and mahogany, which has a warmer tone and lends itself to softer sounds. A master luthier can spend hours shaving tiny pieces of wood off a sound board until they get it to the desired tone they are looking for. Soundholes are the circular hole that can be found on the soundboard of an acoustic guitar. Their primary function is to help project sound. Sound reverberates across the soundboard, into the guitar, before bouncing to the outside. Pretty cool, huh? A pickup is a magnet wrapped in copper wire that picks up the vibration of a plucked string through the disturbance in the electromagnetic field. This is known as magnetic flux. This disturbance is converted to an electrical current through the copper wire, then sent to an amplifier so it can be heard. There are many different types of pickups but the two most common are single-coils and humbuckers. The pickup selector switch is a switch found on the main body of the guitar that lets us change which pickup we are playing through. The pickup’s location determines the characteristics of the tone. For example, if we choose to select the pickup up closest to the bridge we will hear a brighter tone, due to the relative tension of the strings above the pickup at that point. If we choose the pickup closer to the neck of the guitar, we will hear a much warmer tone, again this is all due to the placement of the pickup and the difference in the strings tension at that point. The pickup selector switch is our way of choosing between these different tones. Volume and tone controls are found on the body of the guitar. They are connected to the pickups, and twisting them up or down will either increase or decrease the volume, or overall tonal colour of the guitar. The tone controls can take your sound from from bright and clear, to dark and muddy. The whammy bar is a bar that is attached to the bridge of the guitar. When pressed down, it lowers the pitch of the stings by reducing the tension. When the whammy bar is rapidly pushed and released it produces a vibrato effect. 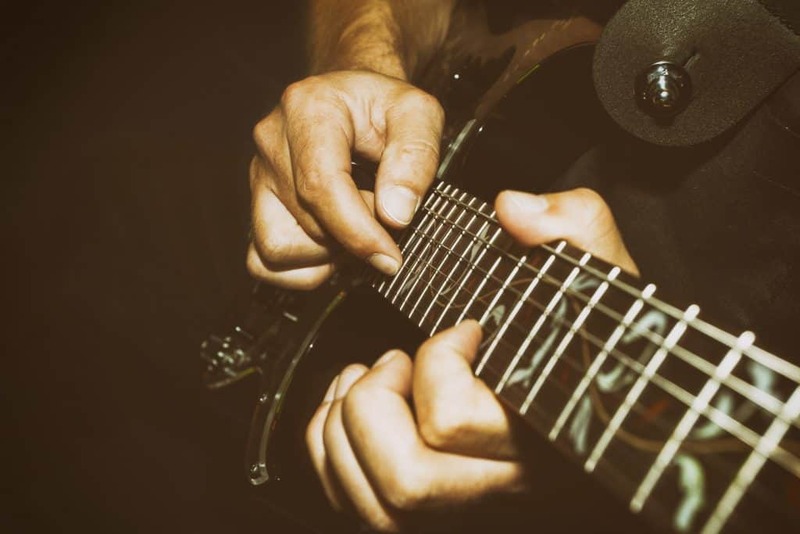 Sometimes the whammy bar is referred to as a vibrato bar, or even a tremolo bar. The bridge and saddle are intrinsically linked due to the saddle sitting within the bridge. Towards the bottom of the guitar is the bridge which holds your strings on and the saddle which allows fine adjustments to their placement. This is where the height of the strings can be adjusted. Have you heard people talking about action? Higher strings, so a higher action will make a guitar harder to play but increase tonal quality. Lower actions make the guitar easier to play, but can decrease tonal quality. Depending on the guitar, the stings may be attached to and terminate at the bridge, or pass over the bridge and terminate into the body of the guitar. Acoustic bridges are usually wooden, with a plastic saddle that can easily be removed. Some acoustic guitars may use a bone saddle. 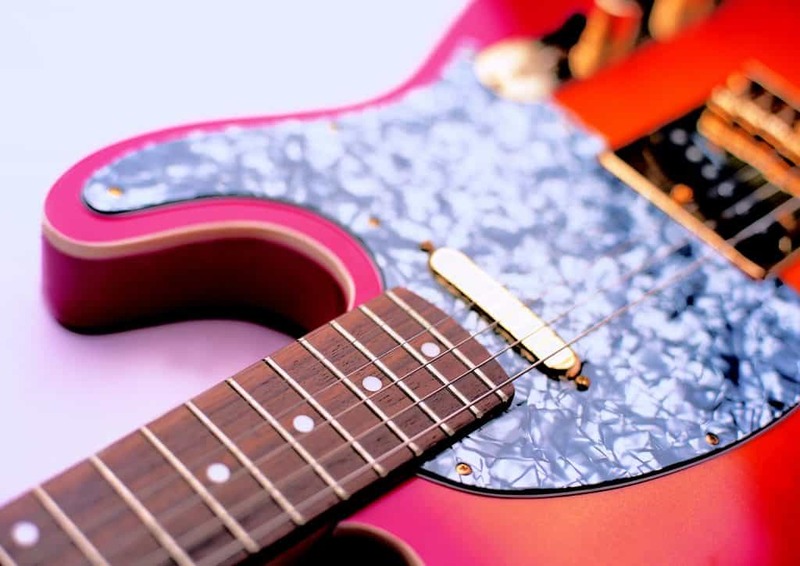 The bridge and saddle of electric guitars are made of metal. The strings sit in their own individual saddles, which can be adjusted independently of the other strings. Bridge pins are only found on acoustic guitars. They appear to be six, small, round, balls on bridge. They’re not for decoration though: their primary job is to anchor the strings in place within the bridge. They may be one of the smaller components found on an acoustic guitar, but their importance cannot be understated. 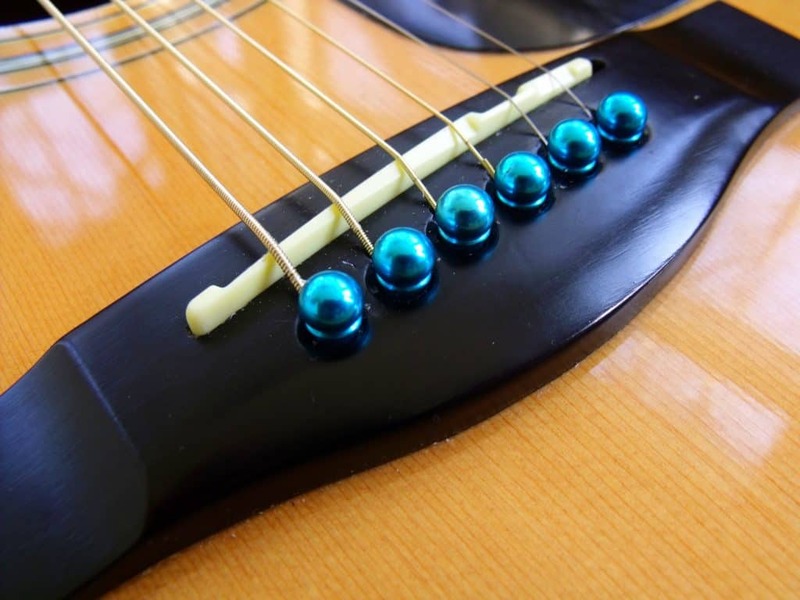 Without pins to hold the string in place, an acoustic guitar would be unplayable. Equipped with this knowledge, you’re in an advantageous position when it comes to guitar maintenance. The information provided here has been relatively brief. You will come across many variations as you experience guitars of different shapes, prices and styles. 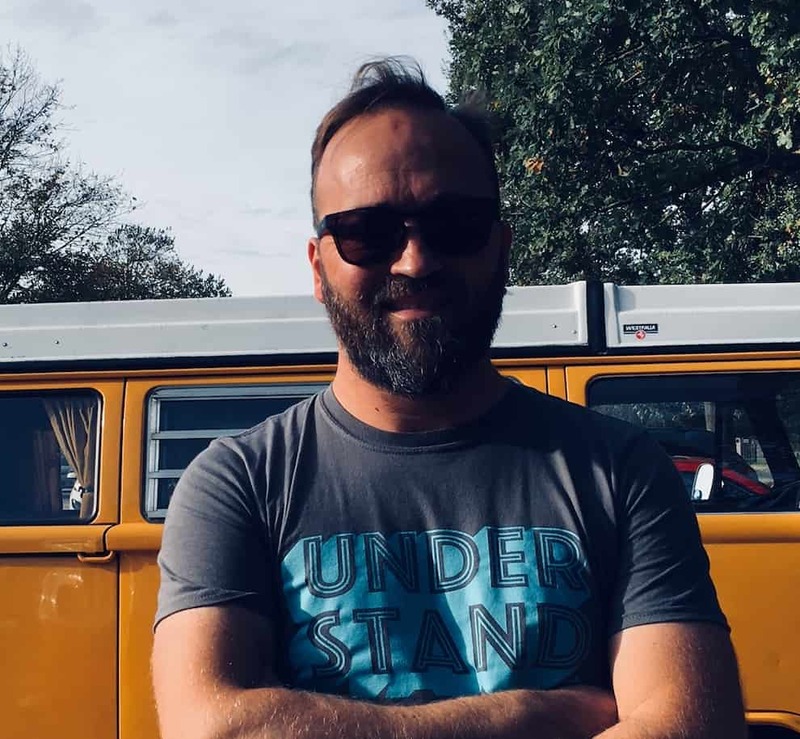 However, you now have a road map, to help point you in the right direction, and to offer a fundamental understanding of the parts of the guitar. Having even this level of insight can make a world of difference when communicating with someone about your instrument, and can save you from some potentially embarrassing and/or expensive moments. At some point your guitar will need maintenance. Whether you choose to do this yourself or take it to the technician, knowing what you are dealing with, and your guitar part names, will save you time, headaches and cash.